Eating your vegetables has never been more delicious than this. 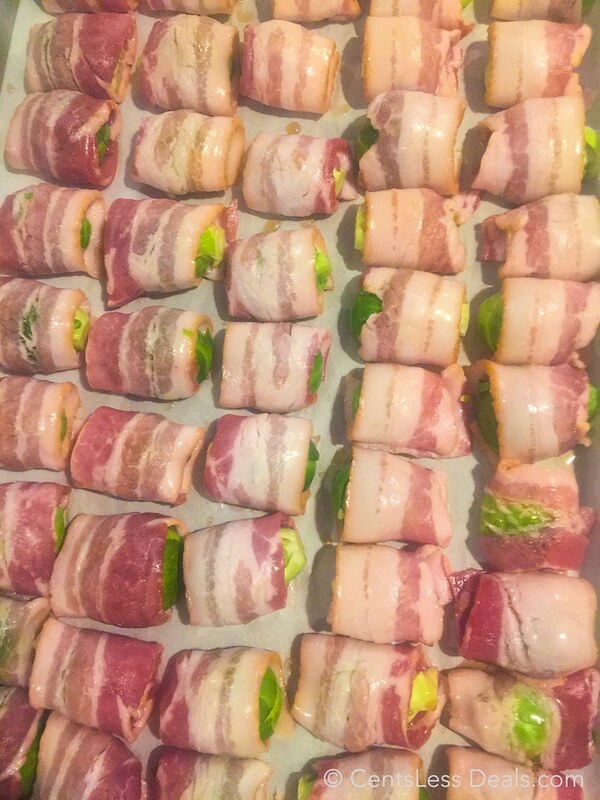 The goodness of brussels sprouts wrapped in crave-able bacon makes for one ah-mazing addition to snack table or meal time! 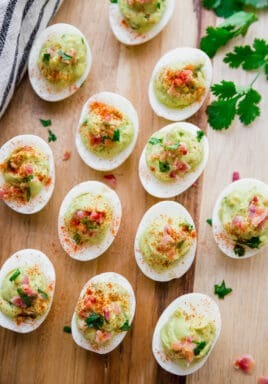 What would you say if I told you there was a way to get your kids to not only eat their brussels sprouts but also to get them to request them? You might think I am crazy, but, trust me on this one. The secret to turning these tasty little cabbage-like sprouts into everyone’s favorite side all lies in the bacon you wrap them in! They’re then brushed with a little sweetness from maple syrup and baked until sticky, sweet and crispy! 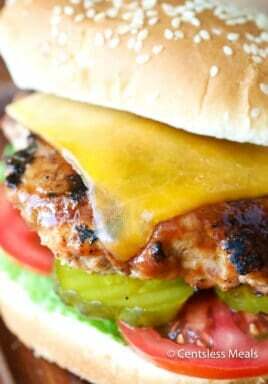 This recipe isn’t complicated, but the results it produces are phenomenal. I could make and eat these every day! I might even share them if I have to! There are SO many awesome ways to enjoy Brussels sprouts including in a Brussels sprouts salad or roasted with balsamic…. and of course good ol’ fashioned Brussels sprouts with bacon done up in a pan. Either way, they’ve always been one of my all time favorite veggies (and even more so now)! 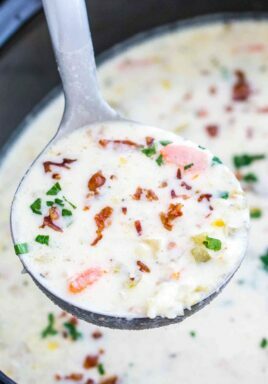 In fact, this recipe is so good that after we had it the first time, my nephew made it the next day… at midnight and ate the whole batch! 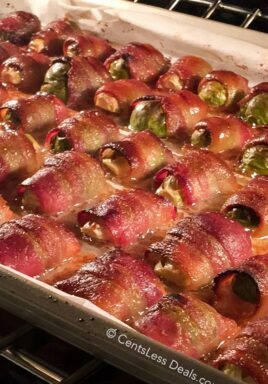 These make a great side but we love to serve them as a party food, simply stick a toothpick into each bacon wrapped brussels sprout and it is ready to serve. Your friends and family might not think of brussels sprouts as party food until they try these little rounds of yum, but they will rethink that stance after trying one or two! Recipe Notes: Use a paper plate to brush the brussels, it’s a sticky job. You MUST use parchment paper or they’ll stick. If your bacon is broken or comes apart, don’t worry. Just patch is as well as you can and it will work perfectly. 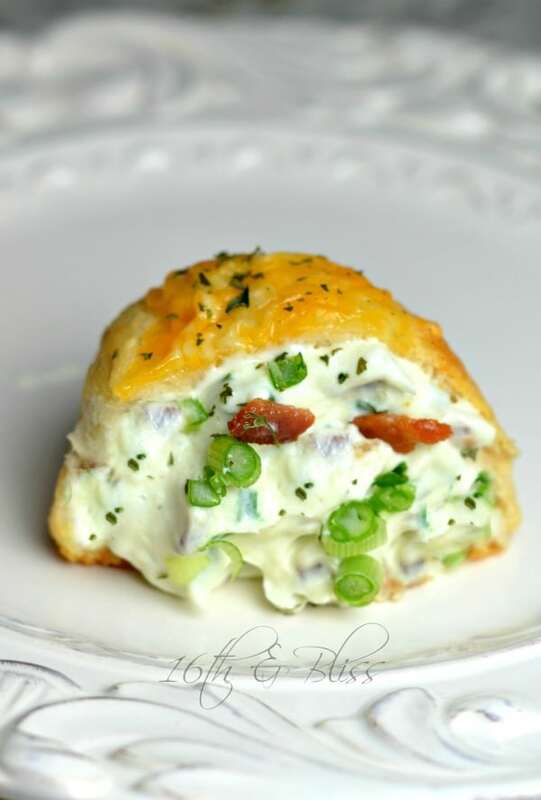 We serve this recipe as an appetizer and its a family favorite. Even our dad who doesn’t eat Brussels loved this recipe. 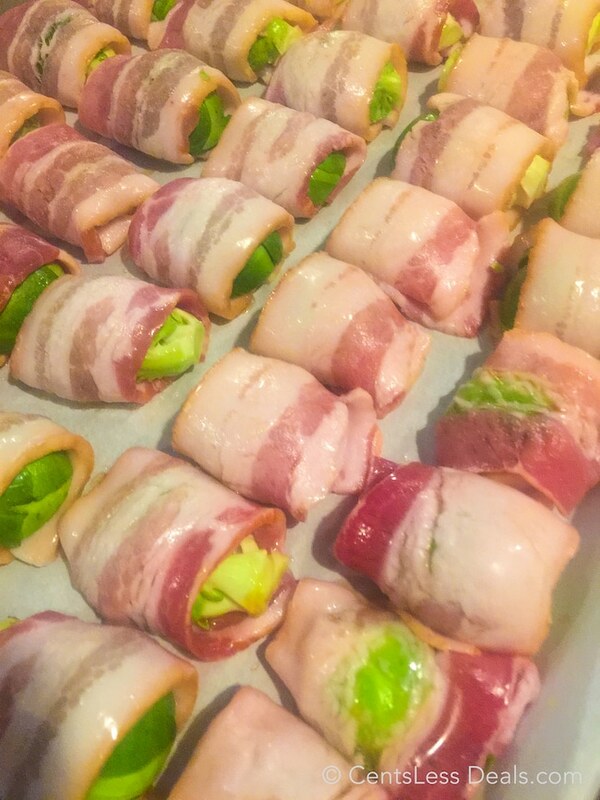 The goodness of brussels sprouts wrapped in crave-able bacon makes for one ah-mazing addition to snack table or meal time! Preheat oven to 425 degrees. Line a pan with parchment paper. Wash brussels sprouts, remove any discolored leaves and cut in half from top to bottom. Cut each piece of bacon into thirds. Wrap bacon around each brussels sprout half. Place seam side down on pan and brush with maple syrup. 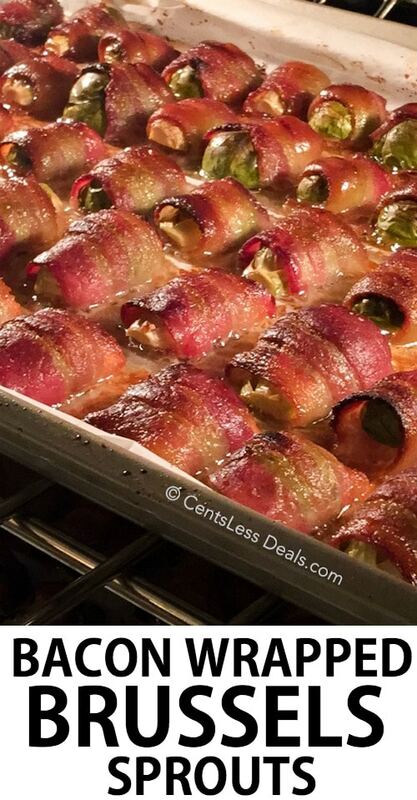 Bake 25-30 minutes or until bacon is crisp and brussels sprouts are tender. O.M.H.!!!!! 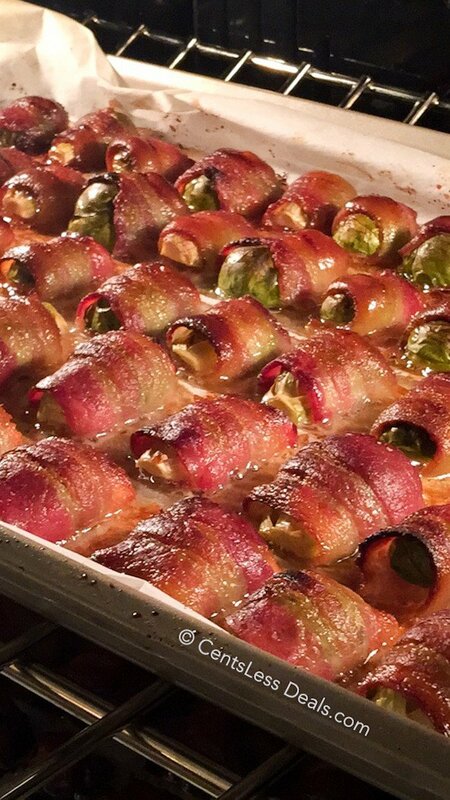 Yes that is supposed too say Omh (Oh My Heavens) these lil green sprouts are too die far…..an there super simple and make a beautiful dish especially as a Holiday side dish U will love the sweet crunchy maple flavor in the bacon an the sprouts…..an this will be a keeper for our lil family recipes. A must try that’s fer sure!!!!! Thank you Kimberly! I love these so much too! Even my dad will eat these sprouts. Richard, you can check out Holly’s Easy Low Carb website for more low carb recipes!